Though its viewing figures this week slipped below the two million mark for the first time, the performances seemed to be altogether stronger in this week’s edition of ‘The Voice’. And once again its contestants have begun dominating the iTunes chart, with the top three places all going to the show’s contestants as we write. Brittany Cairns’ performance of ‘Different Worlds’ (a track used to promote ‘The Voice’ before its premiere) captivated audiences and is sitting pretty at No.1. Even Jes Hudak’s original version has re-entered on iTunes and is sitting at No.6. Darren Percival’s cover of Paul Young’s ‘Wherever I Lay My Hat (That’s My Home)’ is sitting at No.2 and Sarah De Bono’s version of Beyonce’s ‘Listen’ currently sits at No.3. But it doesn’t stop there, with Diana Rouvas placing at No.5 with her version of ‘Love On Top’. The only track in the iTunes top five that’s not from the show is Flo Rida’s ‘Whistle’. His performance on the show may have been a little lacklustre, but that hasn’t stopped fans snapping up Lakyn Heperi’s version of ‘Forever Young’ (No.8), while Ben Hazlewood’s version of Ed Sheeran’s ‘Lego House’ is just outside the top ten at No.11. Further down are Adam Martin’s ‘Lonely Boy’ (No.24), Laura Bunting’s ‘Somebody That I Used To Know’ (No.44) and Taga Paa’s ‘Fight For You’ (No.70). Even last week’s performers are still placing in the top 100. 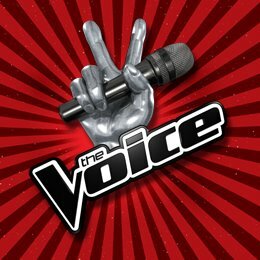 ‘The Voice’ contestants receive two votes for each download purchased. As mentioned on Monday, a new compilation album featuring performances by the top 24 (‘The Voice : The Final 24’) hits retailers this Friday.